When I made the switch over to organic/non GMO foods, I felt so much better. I didn't worry about what I was eating, and what the kids were eating. Before, I remember never feeling like I washed anything well enough to get all the pesticide off. Now, we rinse and eat! I started to feel guilty about my little "Mango" though. She can't control what I feed her, it's up to me to make sure she has a good diet. I also want her to be around for a long, long time, so I know I need to make the right choices. Freshpet is real, all natural pet food made from scratch with the freshest ingredients in our kitchen. Our meals are crafted using real meat and veggies you can see. 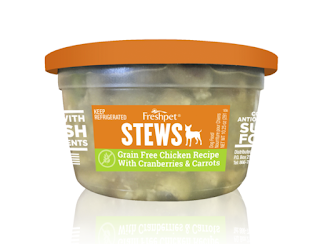 We never have any preservatives – that’s why you’ll find us in the fridge on the pet food aisle. Freshpet isn't pet food, it's FOOD food. Using real meat and vegetables, and not bi-products or fillers like other pet foods. I love that you can look in the container of the Freshpet Stews and see everything in there, it looks like a stew I would eat! 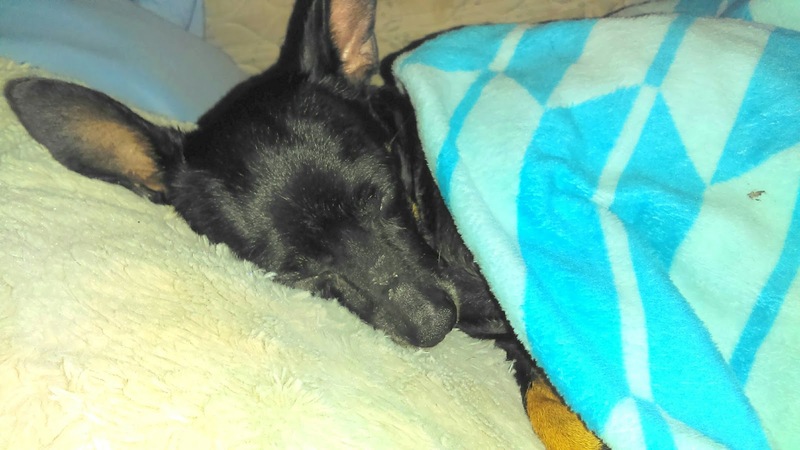 Mango sure loves it, I figured out this would be a good choice for her on the Freshpet Product Selector which tells you exactly which products to choose for your pet based on what they need and like. 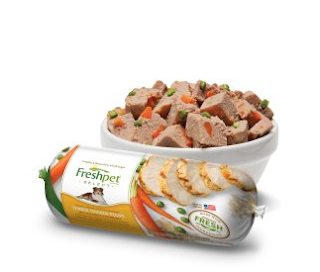 You can purchase Freshpet products in most mass retail stores like Target in the pet aisle, in a little refrigerator!